Leveling up in Dark Souls 2, as you probably know, is not the fastest process in video games history and I know a lot of people who want to earn more souls in the game and level up faster. If you’re one of them, I have some great news for you: we’re here to share with you a Dark Soul cheat on how to earn souls faster and, automatically, level up faster. – The Traveling Merchant Hag Melentia by the Cardinal Tower bonfire – drops the Covetous Silver Serpent Ring which gives you 10% extra Souls in the game. A good idea would be to purchase all the Human Effigy items, Pharros’ Lockstone & Miracles before sending this merchant to better places. – The Armor Merchant in Manjula – drops Tseldora Cap, Robe, Manchettes & Trousers. This equipment set increases the number of souls you earn up to 49% extra combined with the previous ring so from now on you will earn 134 souls per each kill and level up faster. 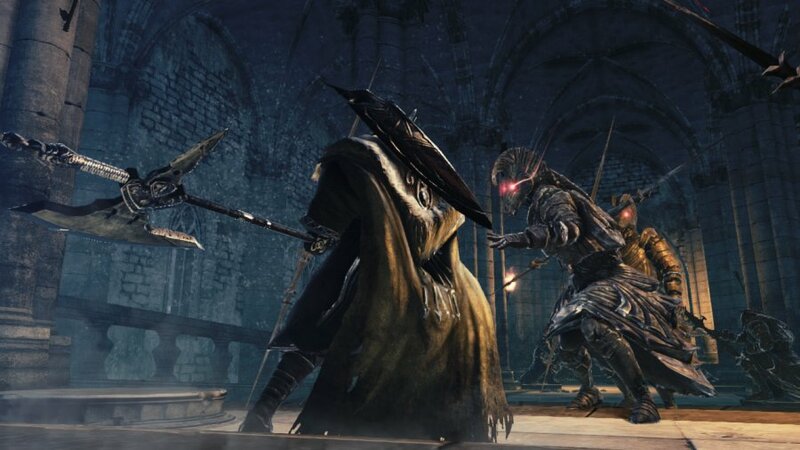 Have in mind that killing these NPCs might have consequences in the game (like not being able to get better items from them from that moment on) but the boost of souls is really worth it early on in the game so you might want to go for it. Will you apply this trick to get more souls in Dark Souls 2 or you’ll remain old school and let the game and your levels progress naturally? Previous articleThe Elder Scrolls Online: Why the Character Animations Look So Strange?